Sihanoukville, also known as Kampong Som, is a city in Cambodia located on the elevated peninsula in the southwest of the Gulf of Thailand. The city is home to many beaches making it a premier seaside resort area. It is also a national center for trade, transport and commerce. To get the adventure started, first visit any of the magnificent Buddhist temples you can find all around the city. 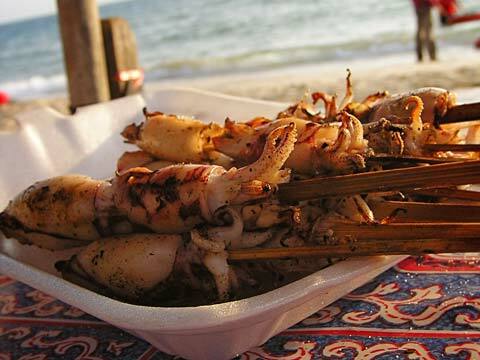 They are a must-see when visiting Sihanoukville. The temples are stylistically diverse, and you may find green-tinged stone on colorful pointed roofs. One of the main temples in the city is the Wat Leu, which features a three-headed carved elephant and a huge black statue of Buddha. It has important religious significance as well as intriguing architecture, representing the spiritual culture of Thailand. Be sure not to miss it out on this amazing opportunity! Next up to explore is one of the most exciting parts about Sihanoukville – the beaches! The city does not have a reputation of premier seaside resorts for nothing- it is home to many white powdery sand beaches and amazing views of the Gulf of Thailand. 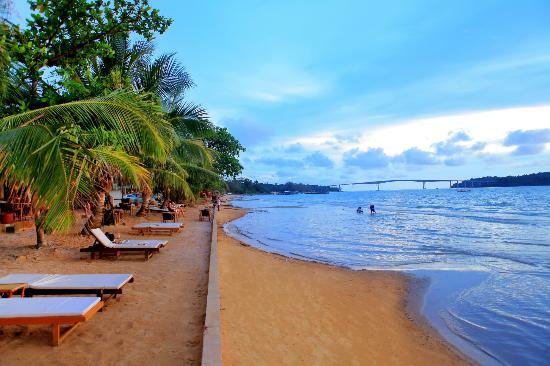 A few of the most famous beaches in Sihanoukville are the Otres, Ochheuteal and Serendipity, all of which offer beach bars for relaxation, enjoying a drink, and listening to the ocean waves. Of course where there are beautiful beaches, there are an abundance of water activities! Many of the beaches offer snorkeling, scuba diving, kayaking, windsurfing, and even kitesurfing. 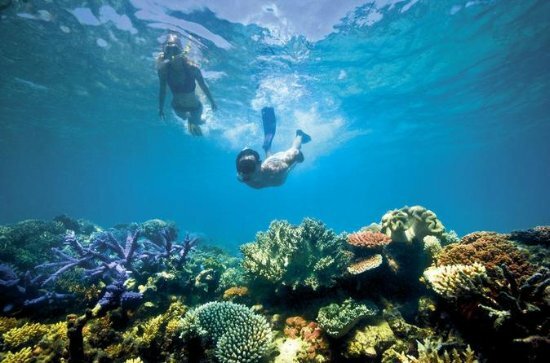 The beautiful coral and sea creatures that live in the waters of Sihanoukville are a magnificent sight, and snorkeling or scuba diving – if you are more experienced – are great ways to uncover the mysteries of the ocean. You are guaranteed to have a fun day on the beach or exploring the ocean- the choice is up to you! Who does not like food? We all do, and sometimes when you go to new countries and have a taste of their cuisine, you love it, but have no idea how to make it. That’s why you should take the Khmer cookery class in Sihanoukville! It is an essential activity for any foodie! During the class an experienced chef will instruct you as you use authentic, fresh local ingredients to prepare a delicious meal. It is a great way to spend your day, providing you with yummy dishes that you will be able to replicate at home! To relax from a day of exquisite food making and tasting, take a trip to the Kbal Chhay Waterfall, which is located just 7km from the center of Sihanoukville. You will be amazed by the serene spot surrounded by luscious green trees and a spectacular flow from the majestic waterfall. 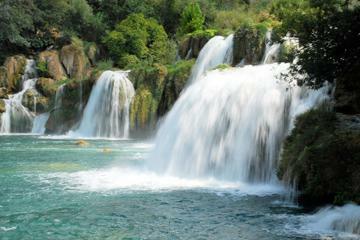 The area is a great place to unwind and spend time in awe of the beauty of the Kbal Chhay Waterfall. Don’t forget to take a few pictures while you’re there! As you make your way back to the city, be on the look out for one of Sihanoukville’s most famous landmarks- the Golden Lions Monument. 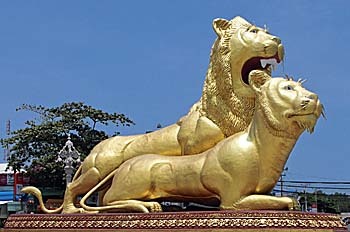 It is composed of a male lion and lioness coated in gold paint sporting peculiar facial expressions. This monument is part of a roundabout located between the Sokha and Ochheuteal beaches, making it a prime tourist destination. Be sure to visit this one-of-a-kind landmark, take some pictures, and then check out the great bars and restaurants near the Golden Lions Monument. Last but not least, be sure to take a “Buggy Tour” outside of Sihanoukville! This is a fantastic way to get to know the surrounding area and have a “local” adventure! 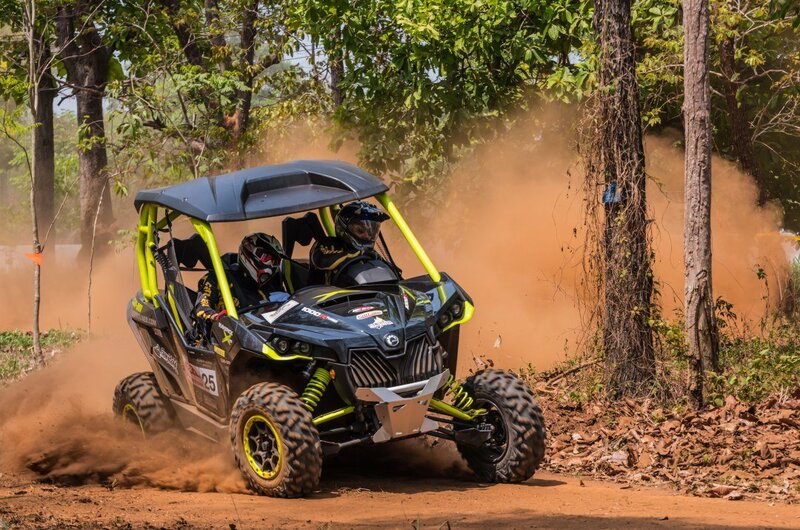 The buggies go on some muddy trails, so the tour will make for a dirty – but fun – adventure. You will be able to visit local villages along the countryside and learn more about the Cambodian culture. For more information on how to get your vacation started, download the GLYD App today.